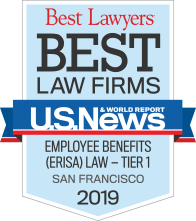 As reported in our August 1, 2013 newsletter, the U.S. Court of Appeals for the Ninth Circuit on June 4, 2013 reinstated an ERISA class action in Harris v. Amgen, Inc., 717 F.3d 1042 (9th Cir. 2013), alleging that the defendants breached their fiduciary duties by continuing to offer company stock in two company-sponsored plans when they knew or should have known that the stock was being sold at an artificially inflated price. The court rejected the defandants’ argument that their actions should be reviewed under the “presumption of prudence” standard set forth in previous cases (Quan v. Computer Sciences Corp. and Moench v. Robertson). The court reasoned that the presumption of prudence is available only if the ERISA plans under which the fiduciaries were acting required or sufficiently “encouraged” the fiduciaries to make company stock available to plan participants as an investment alternative, which the court held Amgen’s plans did not do. 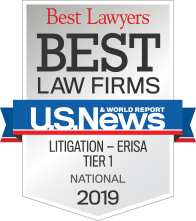 The court also held that securities-law theories — “fraud-on-the-market” and “efficient market hypothesis” — and statements by the defendants to the Securities and Exchange Commission (“SEC”) could be used by plaintiffs to state ERISA breach of fiduciary duty claims. In addition, the court held that Amgen itself was a plan fiduciary because Amgen’s delegation of fiduciary duties to other entities did not relieve Amgen of its status as a fiduciary under the terms of the plans. On June 18, 2013, the defendants filed a petition for rehearing and rehearing en banc. The Ninth Circuit denied the petition on October 23, 2013 and issued an amended opinion further explaining its reasoning on the ERISA aspects of securities law in this case. In the amended opinion, the court explained that the defendants did more than merely file and distribute Amgen’s SEC filings. Instead, they explicitly incorporated the SEC filings by reference into the Amgen plans’ summary plan descriptions (“SPDs”), which the court held constituted a fiduciary act under ERISA. The court specifically adopted the reasoning of the U.S. Court of Appeals for the Sixth Circuit (Dudenhoefer v. Fifth Third Bancorp), which held that “[t]he SPD is a fiduciary communication to plan participants and selecting the information to convey through the SPD is a fiduciary activity.” Thus, the Court held Amgen’s SEC filings could be used by the plaintiffs in their ERISA class action. This holding (by the Ninth Circuit in Amgen and the Sixth Circuit in Dudenhofer) stands in contrast to the approach taken by the U.S. Court of Appeals for the Second Circuit, which dismissed such SEC-based ERISA claims in In re Citigroup ERISA Litigation. As a result of Amgen, plan fiduciaries should be cautious about incorporating company SEC filings into SPDs. If SEC filings have been incorporated into the SPDs, plan fiduciaries should be aware of the potential increase in ERISA liability exposure.